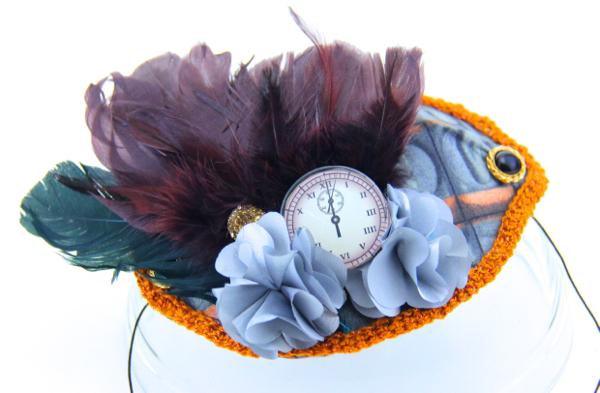 If you’re feeling regal, make your own Simply Charming Embellished Fascinator. This is a great way to add some fun to a boring outfit. 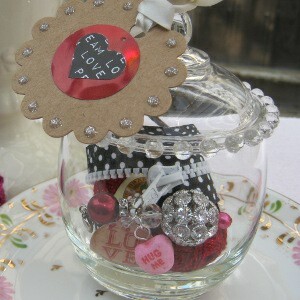 Throw together your own DIY feather fascinator using charms, fabric and even outrageous feathers. There’s no way any other person will have a similar outfit, that’s for sure. Gather up your favorite embellishments and be sure to show off your unique personality. 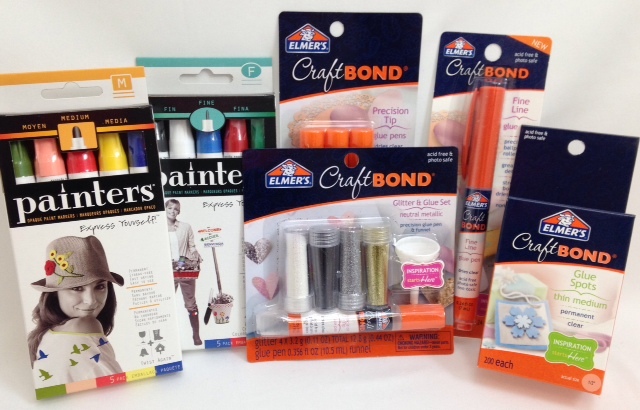 Be sure to check out these other best blogger craft projects that use Elmer’s products! What was your favorite craft to make as a kid? You must “like” both the AllFreeHolidayCrafts and the Elmer’s Facebook pages to be eligible. You have until tonight, April 25th, 2014 at 11:59p EST to leave your comment on this post. Comments posted after that will not be counted. 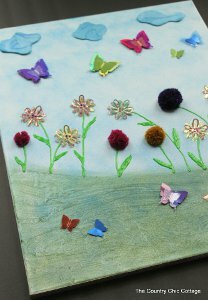 Make a whimsical bouquet worthy of a children’s book when you follow this Seussian Flower Bouquet tutorial. 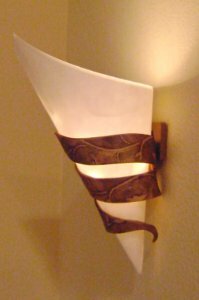 This project is broken down into 12 separate flowers, so you can make one of each or a whole bunch of your favorite design. 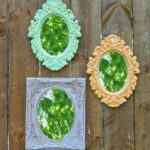 Each of these Dr. Seuss craft ideas is an exercise in imagination, which means that no craft supply is off limits. Ribbons, sequins, beads, and other embellishments make this bouquet totally unforgettable. Best of all, it stays in bloom all year. 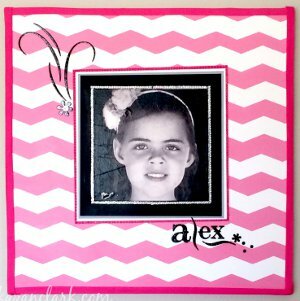 Be sure to check out these other best blogger craft projects that use Simplicity products! 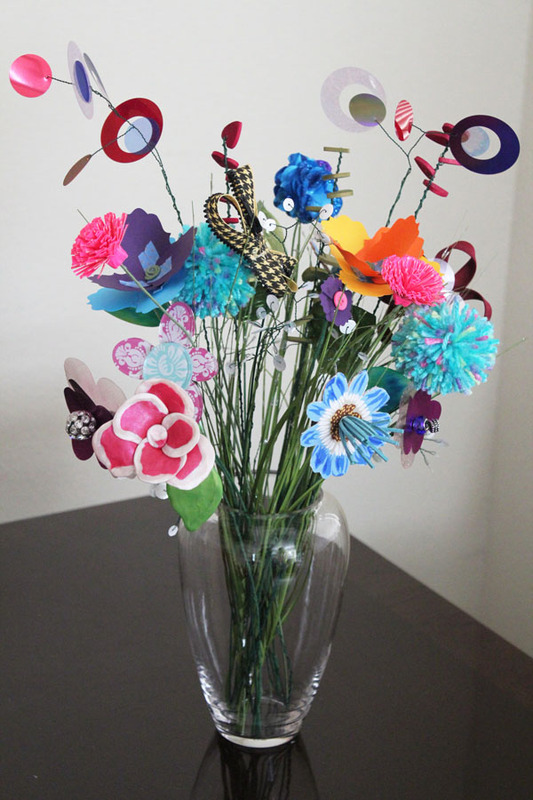 What is your favorite flower to craft? Thank you all for participating in yesterday’s giveaway! Congratulations to Louise M. who answered “I especially like to do roses, it seems you cannot miss!!! They are always nice to look at ” Roses are beautiful Louise, we hope you use this prize to create some really amazing projects! 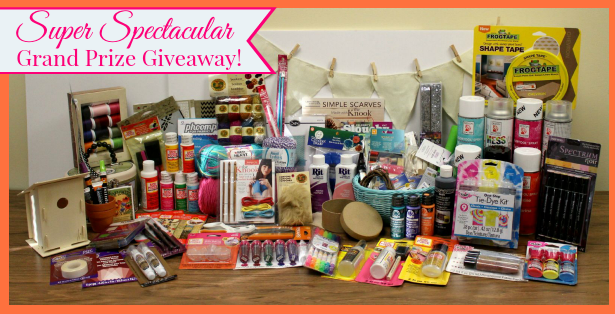 You must “like” both the FaveCrafts and the Simplicity Facebook pages to be eligible. You have until tonight, April 24th, 2014 at 11:59p EST to leave your comment on this post. Comments posted after that will not be counted. Elevate your style to the height of sophistication with this Classic Clay Necklace Tutorial. 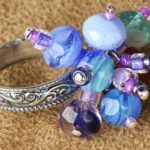 Taking its inspiration from a basic shape, a heart, this guide on how to make polymer clay jewelry does not disappoint in its simplicity. 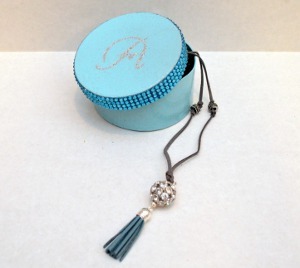 In fact, you’ll love the way this elegant pendant keeps the focus of the charm with its understated silver accents. 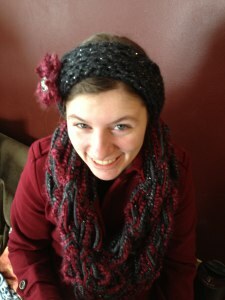 This necklace is memorable and affordable, thanks to a tutorial that makes use of easily available craft supplies. 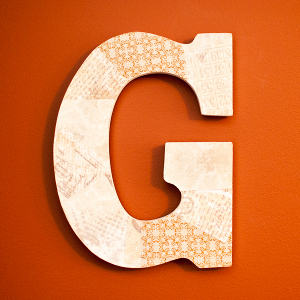 Be sure to check out these other best blogger craft projects that use Polyform products! What do you want to make with clay? Thank you all for participating in yesterday’s giveaway! 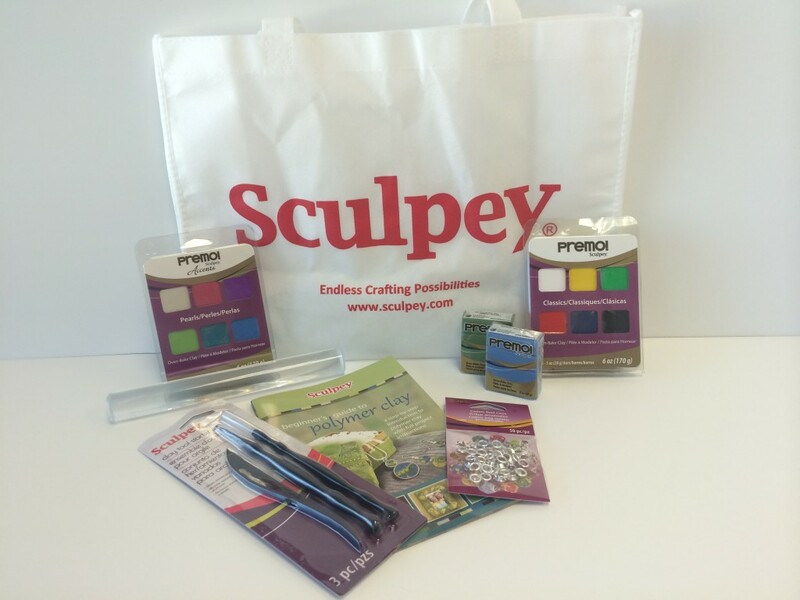 Congratulations to Judy T. who answered “I have made loads of things with clay i.e. jewelry, flowers, small characters and animals for my grand kids, and I hope to make many more! Since I have arthritis in my hands and fingers, working with clay helps me keep my fingers limber so they don’t stiffen up. 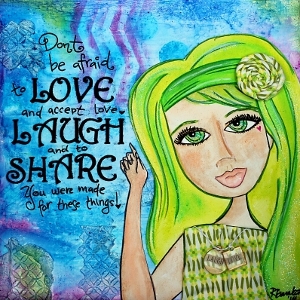 The best thing about my clay creations is gifting them away to others. 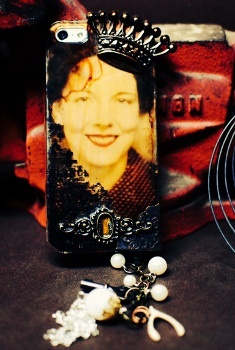 I keep very few for myself because the joy of creating is in the giving!” We agree Judy! Enjoy your clay prize and enjoy making gifts for others! You must “like” both the AllFreeJewelryMaking and the Polyform Facebook pages to be eligible. You have until tonight, April 22nd, 2014 at 11:59p EST to leave your comment on this post. Comments posted after that will not be counted. Get creative with your jewelry making when you follow this Quilter’s Bib Necklace Pattern. 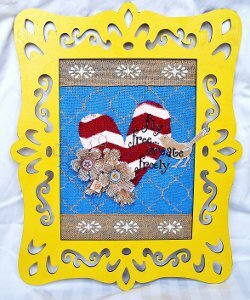 This project is named after quilters because it uses fabric charms in addition to beads. 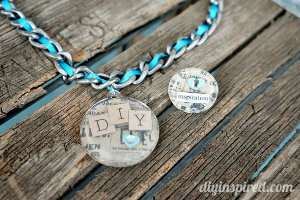 The layered look of this necklace is even more outstanding when you incorporate decoupage beads. You’ll have to break out your sewing machine to make this vintage fabric bib necklace, but this project goes quickly. 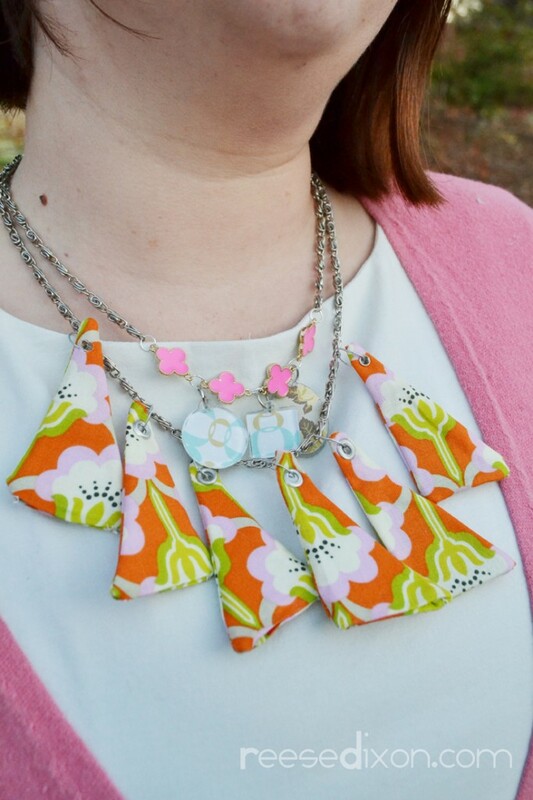 Plus, if you don’t mind mixing colors and patterns, this bib necklace DIY is also a great way to clean out your scrap stash. 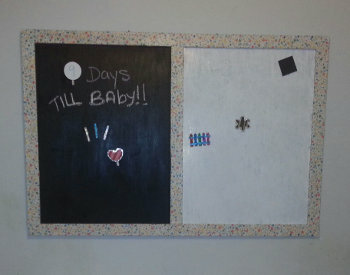 Be sure to check out these other best blogger craft projects that use Coats & Clark products! What’s your #1 sewing tip? Thank you all for participating in yesterday’s giveaway! 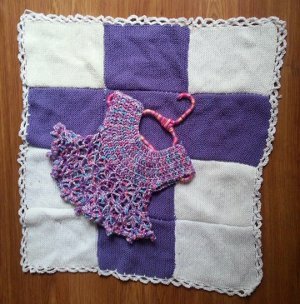 Congratulations to Nina G. who answered “Always read the entire pattern/process before beginning the project. Double and triple check before cutting! And keep scraps because they make amazing quilts, too! ” Great tips Nina! Enjoy your prize! 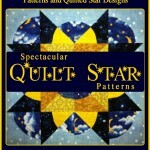 You must “like” both the FaveQuilts and the Make It Coats Facebook pages to be eligible. You have until tonight, April 21st, 2014 at 11:59p EST to leave your comment on this post. Comments posted after that will not be counted. Boot cuffs are the perfect little addition to any outfit. The Basic Buttoned Boot Cuffs will add a classic touch to your outfit, giving you an effortless, chic look. 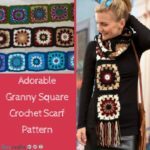 Perfect for beginners, this knook pattern is a breeze. All you need to know how to do is purl and knit to create these cute, rustic boot cuffs. The cuffs are knooked flat and then fastened with simple buttons, so you can easily adjust the cuffs to perfectly fit your legs. What types of patterns would you like to knook? Thank you all for participating in yesterday’s giveaway! Congratulations to Alice T. who answered “Problem is where to start! I have 5 Granddaughters (3years old to 15 years) to help me figure out where to start. Whatever I do is done with love from the heart.” Enjoy this prize and knook something special for your granddaughters ! 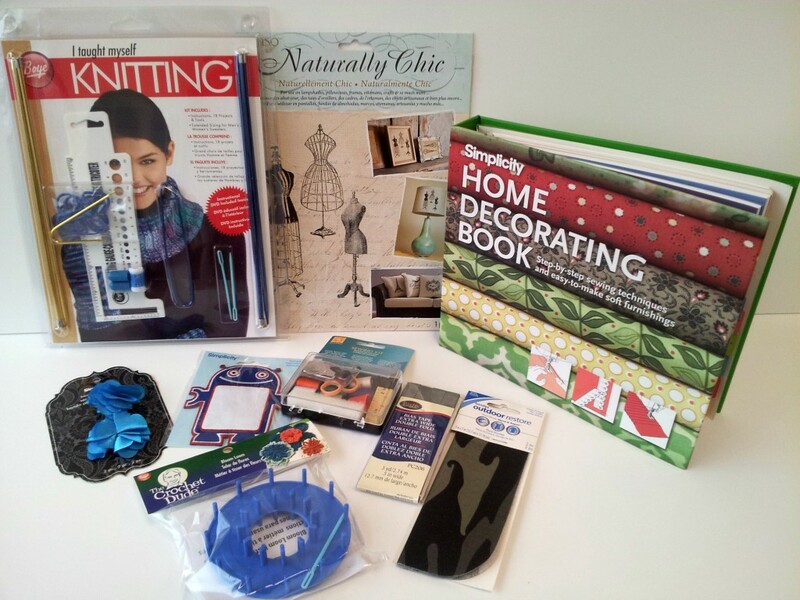 You must “like” both the AllFreeKnitting and the Leisure Arts Facebook pages to be eligible. You have until tonight, April 17th, 2014 at 11:59p EST to leave your comment on this post. Comments posted after that will not be counted. Help your kids learn how to make a doll house from duct tape with this Funky DIY Doll House from Duct Tape tutorial. 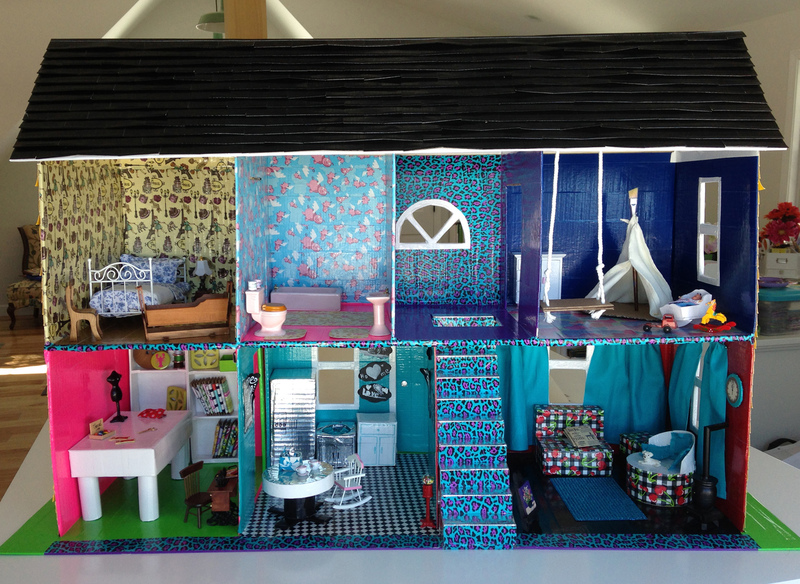 Not only can they create their doll’s dream home, but furnish it as well. Using a variety of different duct tape patterns and colors, your kids can become architects and build their own homemade doll house. They’ll have just as much fun making their house as they will playing with it when they’re done. 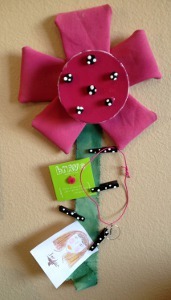 Be sure to check out these other best blogger craft projects that use items from this Shurtech prize! What pattern would you like to see on Duck Tape? Thank you all for participating in yesterday’s giveaway! You all had some really great pattern ideas. Congratulations to Laura who answered “I would like to see puzzle pieces, in support of autism awareness.” This sounds like a great idea Laura! Enjoy your prize! 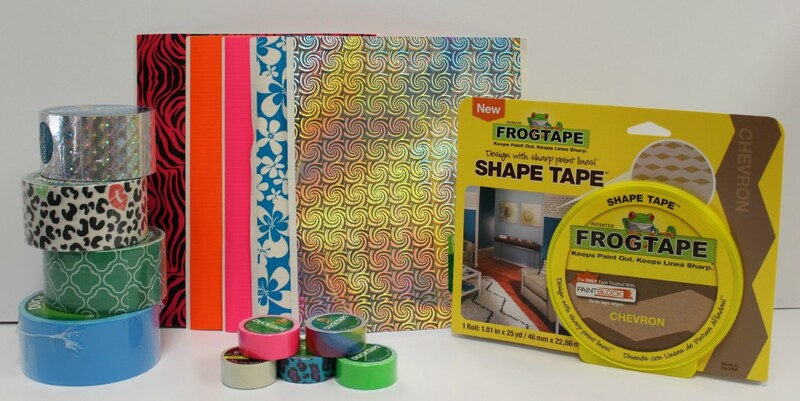 You must “like” both the AllFreeKidsCrafts and the FrogTape Facebook pages to be eligible. You have until tonight, April 16th, 2014 at 11:59p EST to leave your comment on this post. Comments posted after that will not be counted. 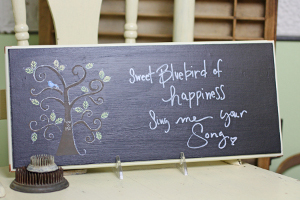 Bring the look of spring indoors with this Beautiful Blue Birdhouse Display. Instead of making one birdhouse, you can create three small birdhouses and attach them with a chain. 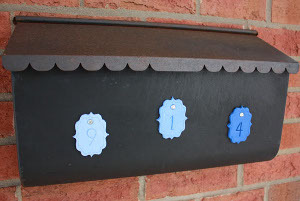 This project is perfect for anyone who is looking for decorative craft ideas. 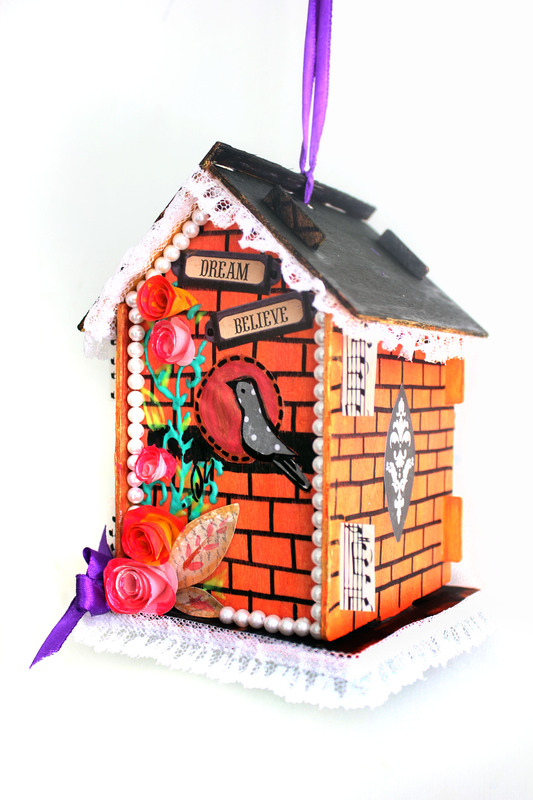 You don’t have to build the birdhouses, either – simply buy them at a local craft store and decorate them with paint. Keep your birdhouse indoors or cover it with acrylic sealer and hang it in your garden. Today’s prize is eight bottles of Rit Dye. 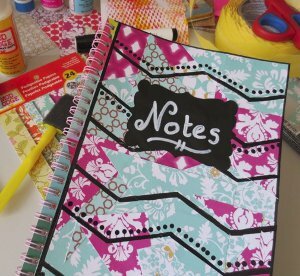 Be sure to check out these other best blogger craft projects that use Rit Dye! What crafting materials do you want to dye? Thank you all for participating in yesterday’s giveaway! 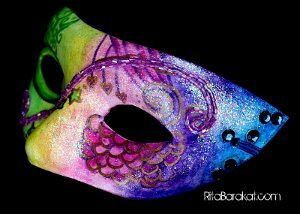 Congratulations to Becca who answered “I love RIT dyes and have used them exclusively for many years. Currently I have some t-shirts that have white splatters on them that look like bleach but they have never been near the bleach bottle. SO… I want to either remove the remainder color and recolor with a new like color or use fabric pens in matching color to dye just the spots!” This collection of dye sounds like the perfect prize for you Becca! Enjoy! 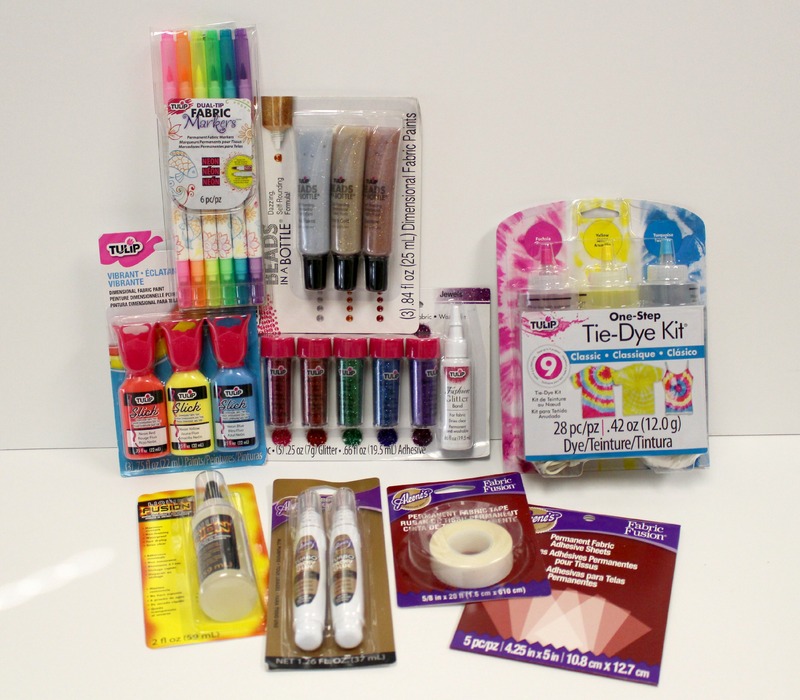 You must “like” both the FaveCrafts and the Rit Dye Facebook pages to be eligible. You have until tonight, April 15th, 2014 at 11:59p EST to leave your comment on this post. Comments posted after that will not be counted. 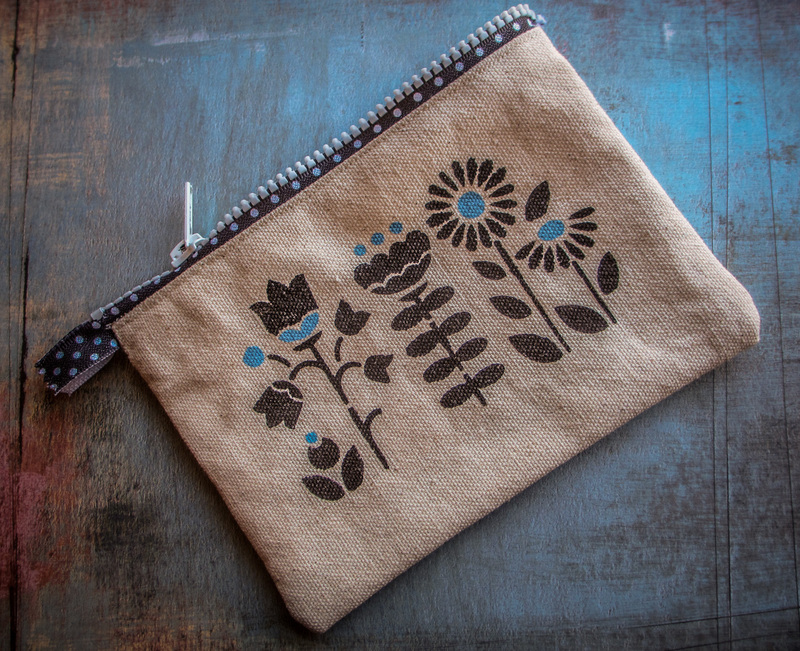 Hit the town with a Stenciled Canvas Zipper Pouch and keep your valuables close at hand. Follow these clutch purse instructions and find out how easy it is to design your own DIY accessories. When you carry this bag, you won’t get caught matching anyone else. 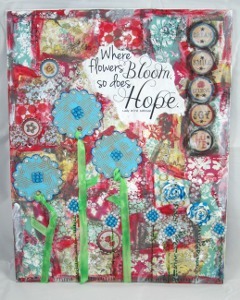 Canvas can be pretty boring to look at, but the fun embellishments and unexpected design make it a true standout. 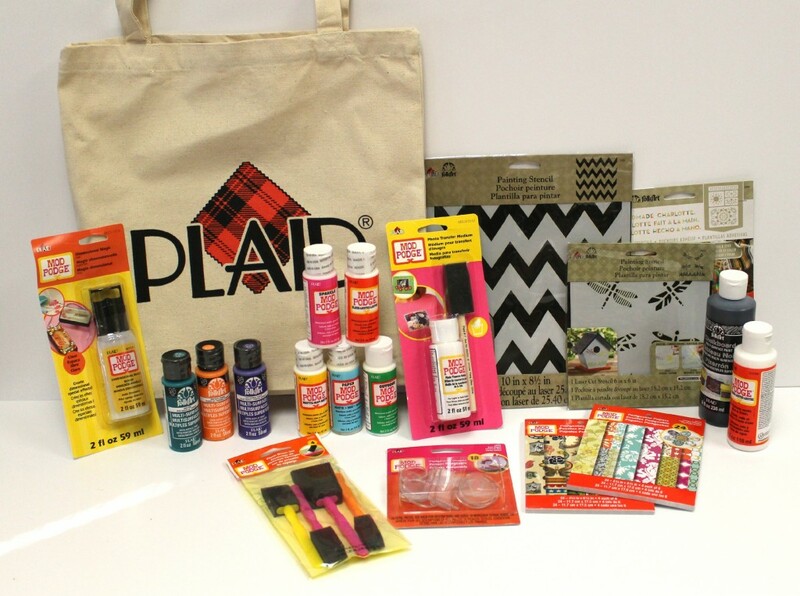 Be sure to check out these other best blogger craft projects that use Plaid products! If you won this prize, what would you make? Thank you all for participating in yesterday’s giveaway! Congratulations to Kim C. who answered “I would use these supplies with my 5 year old granddaughter to make decorations for her room as well as for anything else we can come up with, she loves to paint and help me create cards and the pages for her scrapbook. Thank you for doing this great giveaway. Good Luck to everyone but I hope we win ” It’s you lucky day Kim! Have fun crafting with your granddaughter! 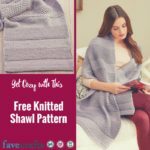 You must “like” both the AllFreeSewing and the Plaid Facebook pages to be eligible. 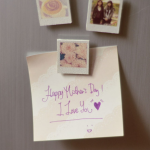 You have until tonight, April 14th, 2014 at 11:59p EST to leave your comment on this post. Comments posted after that will not be counted. 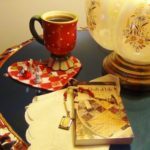 In our contest last month, each of these blogger crafts were voted upon by fans for a great prize! 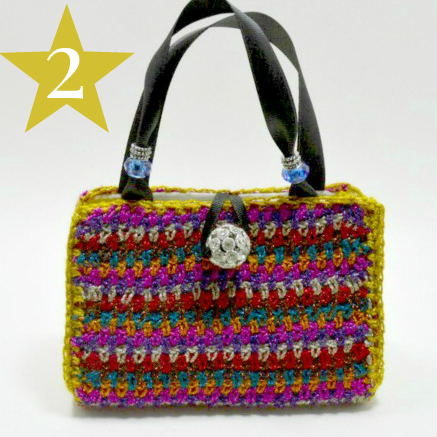 This Quirky Crochet Handbag by Jaime Maraia from Crochet Dynamite came in second place! This Quirky Crochet Handbag is an explosion of color that you can carry with you. This tutorial on how to make a crochet purse involves alternating seven colors of yarn. 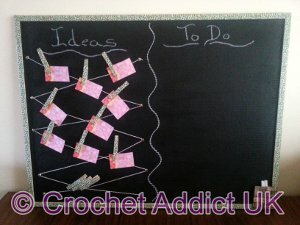 Instead of looking chaotic, the effect is a cute striped pattern that allows the colors of yarn to blend slightly. Today’s prize is a variety of Lion Brand Yarns. 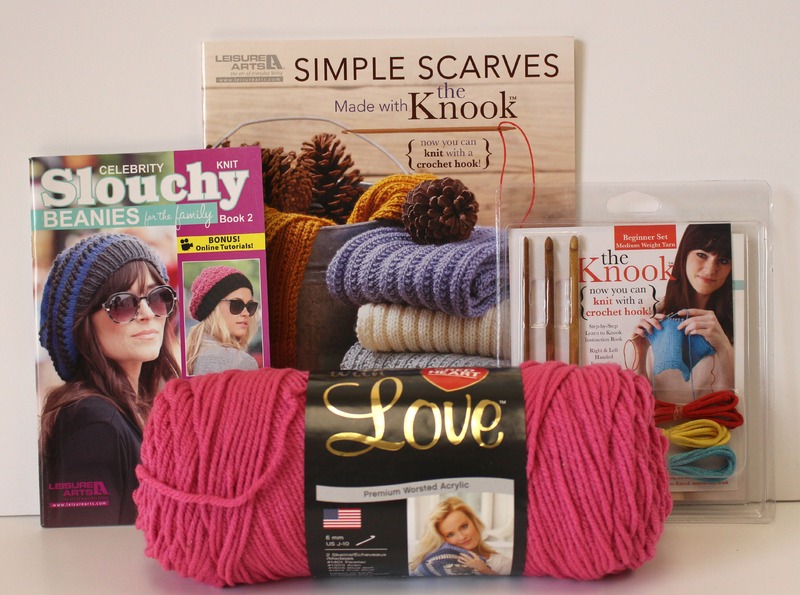 Included in the prize is a set of Bon Bons (Party), Unique Yarn, Fettuccini yarn, Heartland Yarn, Thick & Quick Yarn, and two pom poms. 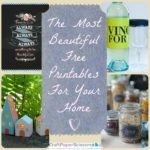 Be sure to check out these other best blogger craft projects that use items from this Lion Brand prize! Which type of Lion Brand Yarn do you want to use most? 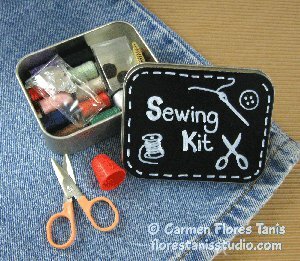 Congratulations to Idell M. who answered, “Where do I start, I craft in all medias, knitting, crocheting, quilting, painting, building …. and I share my crafting with my grandchildren and great grandchildren. 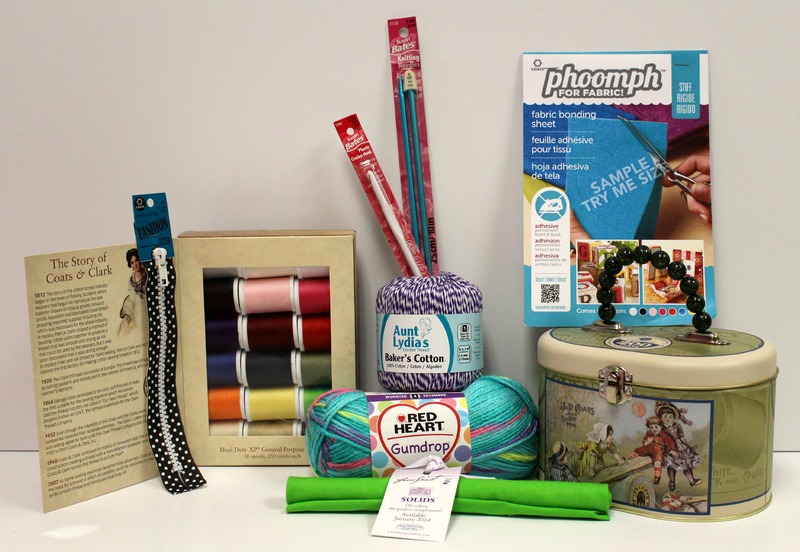 My 14 year old granddaughter asked me for YARN for her birthday this month — so I am hopeful the traditions will go on.” We are hopeful too and we hope you enjoy the variety of yarn in this prize! 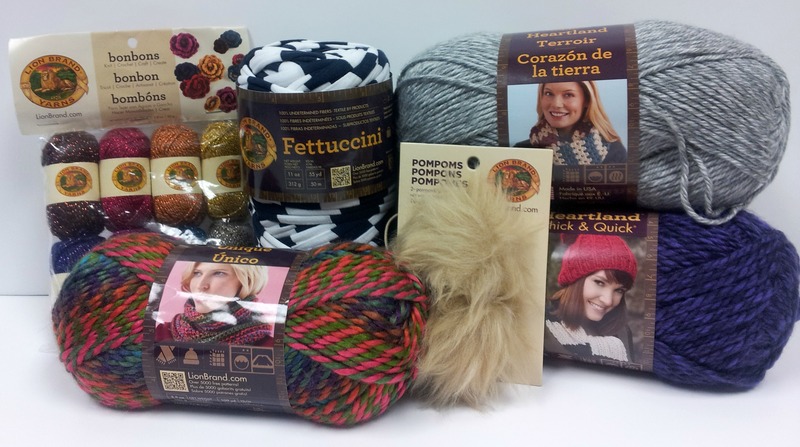 You must “like” both the AllFreeCrochet and the Lion Brand Yarns Facebook pages to be eligible. You have until tonight, April 8th, 2014 at 11:59p EST to leave your comment on this post. Comments posted after that will not be counted.